A NEW BUS route will link Blanchardstown and Naas, via Maynooth. The 139 route will begin operation next Monday and will run from IT Blanchardstown to Naas, serving Ongar, Leixlip, Maynooth, Rathcoffey, Clane and Sallins. There will be nine services each way, seven days a week, with first departures at 7.15am and last departures at 10.35pm. The 139 is a National Transport Authority (NTA) initiative and will be run for NTA as a Public Service Obligation (PSO) by JJ Kavanagh & Sons under the Transport For Ireland brand. 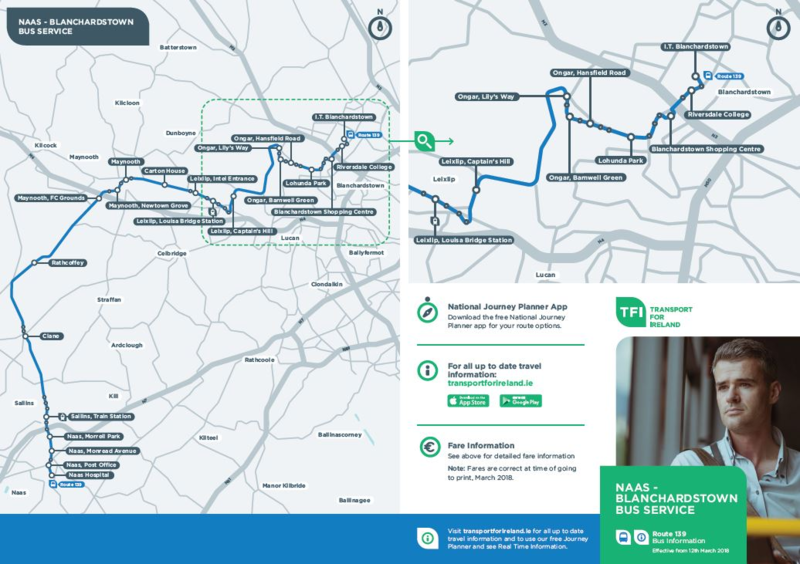 As a PSO route, fares and timetables for the service are set by NTA and are similar to fares around Greater Dublin Area. A full trip will cost €6.50 in cash or €5 on a Leap card. Maynooth to Blanchardstown will cost €3.30 cash or €2.60 on Leap. 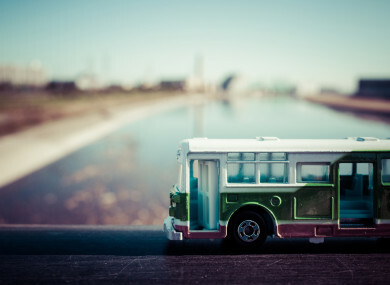 “When analysing public transport in the north Kildare/west Dublin area, we came to the conclusion that there was a demand for a bus service that would link significant population and activity centres such as Naas, Maynooth and Blanchardstown. Thanks to the 139, moving along this corridor between these centres will now be easier than ever. The 139 offers a convenient way for students in Blanchardstown IT and NUI Maynooth to get to campus, for example. “It also offers a public transport alternative for shoppers in places like Leixlip who want to go to Blanchardstown Shopping Centre, where it interconnects with over a dozen Dublin Bus services. The route was put to tender last summer, with JJ Kavanagh & Sons being picked as the most “economically-advantageous” service. Email “A new bus route will link Blanchardstown and Naas”. Feedback on “A new bus route will link Blanchardstown and Naas”.